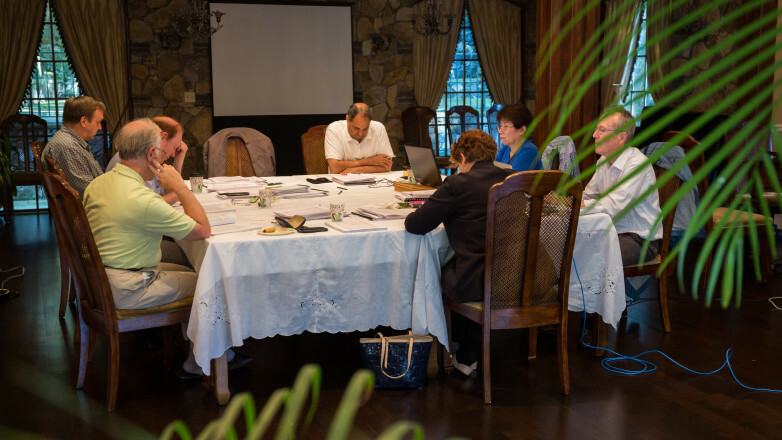 By FFWPU USA: ranslators are doing a final read-through of the English version of the Cham Bumo Gyeong, the third volume of Holy Scriptures after the Cheon Seong Gyeong and Pyeong Hwa Gyeong. It will be printed and presented to True Mother at the third anniversary of True Father’s Seonghwa. 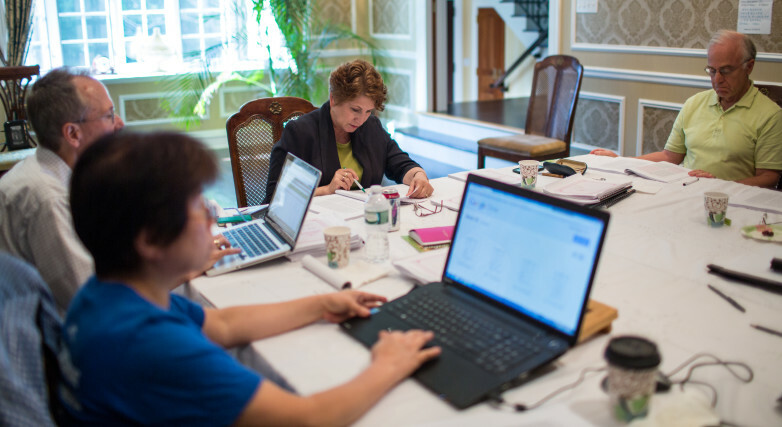 The team was assembled earlier this year in March, and have since been working tirelessly to complete the translation. On July 20, 2015, a group of eight people gathered at East Garden to begin the next and final phase: reading the Cham Bumo Gyeong out loud, Hoon Dok Hwe style, to make any final style changes. The translation team is currently joined by layout team from Korea, which is working with the American team to generate the manuscript for publication. Two of the Korean team members are here in America for the first time, and were deeply moved to visit the 9/11 museum in New York City, as well as the Grand Ballroom at the New Yorker Hotel where True Father often spoke. The team has been working closely with Julian Grey and the Family Federation for World Peace and Unification (FFWPU) International Headquarters translation department in Korea. Director Seog Byung Kim, President of iPeace TV, has been overseeing the publication of the books and provided much support and resources from Korea toward the translation project. Members of the translation team and FFWPU USA feel blessed with the opportunity to lead the English translation project and to work with an international team to offer this invaluable text to True Mother and the world.